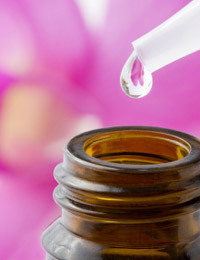 Firstly it should be remembered that Homoeopathy is a specific and unique form of medicinal treatment, which does not include and has nothing in common with modalities such as Acupuncture, Herbal Medicine, whether traditional, western or Chinese, Ayurvedic medicine, reflexology, aromatherapy, etc. Patients usually consult homeopaths as the last and final resort, whether for infertility or other conditions. This is unfortunate, as the best results would be achieved with infertility if patients were to consult us from the outset, before other (often) drastic and sometimes harmful interventions have been tried. The homeopathic infertility consultation consists of a very detailed history and investigations to determine the specifics relating to the individual infertility patient. Treatment is aimed at the specific patient and it is rare for two patients to receive the same treatment for infertility. Individualisation of homeopathic treatment, tailored to address the infertiliy problems as it manifests in the individual patient determines the level of success in many instances. It is important that patients consult the homeopath on a regular basis for the duration of the treatment until conception is confirmed by pathological tests. Homeopathic infertility treatment attends to the environment, the health and status of the uterus, cervix, ovaries, etc. The success of IVF, AI and other techniques will always rely on the health of the environment, yet the medical profession has nothing to offer in this area. Such interventions would be much more successful if it was done on conjunction with Homeopathic treatment of infertility and one would be able to achieve higher success rates if only the Medical Profession was prepared to work with, rather than against, their Homeopathic counterparts. After all, we are supposed to be working towards the same common goal ! Homeopathic infertility treatment stretches across about four months, but can be much longer, depending on complications and previous infertility treatment interventions. Endometriosis, Candidiasis, frequent cystitis or other urinary tract infections, ovarian cysts, anovulation, focal infections, connective and or scar tissue, menorrhagia, etc. The cost is dependent upon the duration of homeopathic infertility treatment, complications caused by previous infertility treatment interventions and the severity of the underlying infertility related problems. The total cost of homeopathic infertility treatment is a fraction of conventional infertility treatment and without any negative damaging side-effects. The total cost will often amount to less than 15% of a single AI or IVF. WHAT MAKES HOMOEOPATHIC INFERTILITY TREATMENT DIFFERENT? Conventional medical approaches focus on artificial implantation technology and the advances in such technology. The other aspect of conventional treatment focuses on hormonal treatment, often with detrimental side-effects to the mother and sometimes to the new-born as well. Conventional treatment often utilises drugs to stimulate ovulation, often using Clomiphene citrate (e.g. ClomidTM). Such medicines are only indicated if infertility is as a result of anovulation (women who do not ovulate). Clomiphene has a structure similar to oestrogen. When it reaches the brain it attaches itself to the oestrogen receptor sites there and saturates (fills) them. When these receptor sites are occupied, the brain concludes that there is too little oestrogen in the blood and as a consequence initiates a series of hormonal changes that result in an increased production of FSH (Follicle Stimulating Hormone), which causes the ovarian follicle to mature its eggs. The vast majority of patients that are going to respond to this treatment will respond with the first course of treatment, seldom in the second and even less so with a third course. More than three courses of the drug is not supported by the manufacturers. 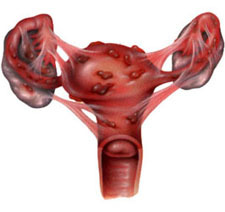 It is ineffective in patients with primary pituitary or ovarian failure. According to the manufacturers it should not be given in the presence of ovarian cysts (other than polycystic ovary syndrome) as it may cause further enlargement of the cyst. There have been cases of massive enlargement of the ovaries and rupture of cysts following this treatment. Visual disturbances may be so severe as to render activities such as driving hazardous and cases of cataract formation have been reported following treatment. Retinal cell function changes have been reported. If any visual disturbances occur treatment should be stopped immediately and the patient must be referred for a complete ophthalmological evaluation. No further courses of the drug may be administered. Among the birth anomalies reported, the proportion of neural tube defects has been high among pregnancies associated with ovulation induced with this treatment. 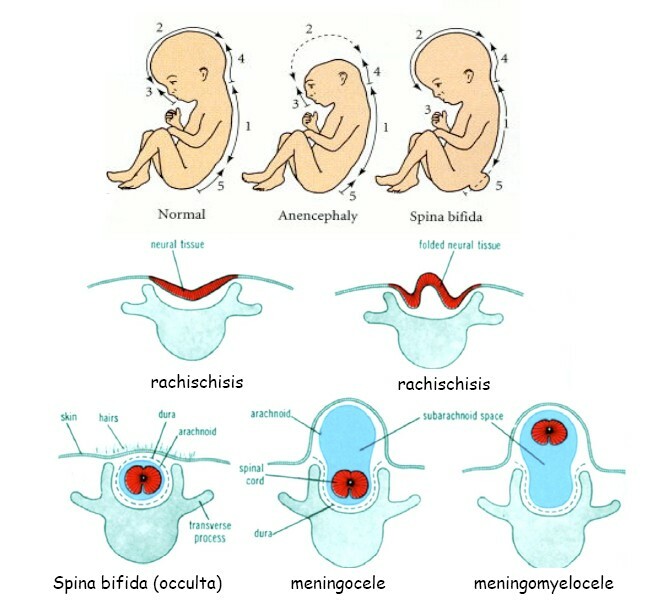 (Neural tube defects include spina bifida, fetal anencephaly, lumbar meningomyocele and meningocele). Other reported conditions that may result include; abnormalities in liver function, syncope / fainting, cerebrovascular accident (stroke), cerebral thrombosis, psychotic reactions including paranoid psychosis, neurological impairment, disorientation and speech disturbances. It is contra-indicated (not to be prescribed) in Pregnancy, Liver disease or history of liver dysfunction, pituitary failure, endometrial carcinoma or ovarian cysts (other than polycystic ovary syndrome) and abnormal uterine bleeding. In some cases men with low sperm count are also treated with Clomiphene citrate, but it does not work and never has. Following fertilisation of the ovum, the endometrium serves as a nesting place and implantation occurs. While the technology has advanced in bounds and leaps over the past few decades, neither it, nor the hormonal treatment that goes with it, can address the environment where fertilisation or implantation needs to take place. This means that notwithstanding the massive advances in this technology and attempts to implant the best, healthiest cells, if the environment is not healthy enough and not conducive to healthy development of the embryo, the implantation and development of the embryo will not be successful. The focus of Homeopathic treatment is upon the environment, the health state of the uterus, endometrium, healthy natural ovulation and production of a healthy ovum. Focussing upon endometritis, direct, peritoneal, metastatic and transplant Endometriosis, ovarian cysts, and everything that is required for successful fertilisation, implantation and eventually a healthy pregnancy. It is also important to maintain normal hormonal balance. This is attempted with low potency and tincture preparations, hoped to both supplement and restore balance, without massive increases in certain hormones that tip the balance unfavourably. Infertility has become a massive industry and many practitioners have entered into it as a money-making-venture for self-enrichment rather than the good of the patient. Any practitioner marketing or advertising products for the treatment of infertility and who makes the medicine available without having to see the patient is running a money-making scam. It is also illegal and unethical for any practitioner to treat or to provide treatment or medicine to a patient he/she has not consulted face-to-face. World renowned Dr. Isadore Rosenfeld MD says, "There is no single treatment for infertility that works for everyone, because the problem has so many different causes." Similarly there is no Homoeopathic or Complementary Alternative Medicine (CAM) available on the open market today that is effective in the treatment of infertility from whatever cause. No standard Homoeopathic formula or Homoeopathic medicine available in a pharmacy, health shop, upon request via postal or internet order is effective in any way whatsoever for the treatment of infertility. Homoeopathy relies strongly upon the individualisation of the treatment. This is particularly the case in infertility as no two cases are the same and treatment has to be tailored to meet the specific requirements of the particular patient. WHAT DO RESEARCHERS AND AUTHORS SAY ABOUT HOMOEOPATHIC TREATMENT OF INFERTILITY? Shedding light on the innumerable uses of homeopathy treatment, Dr. Shahida says, "Homeopathy can also be used to treat infertility conditions. Homeopathy can also help couples conceive even when there is no known medical reason for the infertility. In addition, homeopathic treatment is safe and effective during pregnancy. It can help with symptoms of morning sickness, heartburn, constipation, and hemorrhoids. Increasing numbers of women are making use of homeopathy during labour and childbirth, and homeopathic treatment can be very helpful after delivery, or during breast-feeding." A small study of the homeopathic treatment for infertility. This study showed that homeopathic care for infertility was 30 times less expensive per successful delivery than the match comparison group given conventional care. Treating Infertility with Homeopathy - Jacob I. Mirman, MD - "Since homeopathy is meant to treat the whole person, it affects the reproductive organs just as surely as all the rest. If there is no irreversible pathology there it will create conditions favorable to reproduction, since this is what those organs are meant to do. This fact is well known among homeopaths and stories of making babies in infertile women abound." Homeopathy may be the best kept secret in North America. 70% of homeopathy patients are women receiving treatment for women's issues (PMS, menopause, infertility, pregnancy, labour support, cysts, fibroids and menstrual irregularities).